As part of my freelance work, I am part of the Hoxby Collective; a group of talented freelancers coming together to form a virtual agency with many specialisms. This project was a rebrand, and website rebuild. The design was undertaken by another member of Hoxby, and I was responsible for the build. 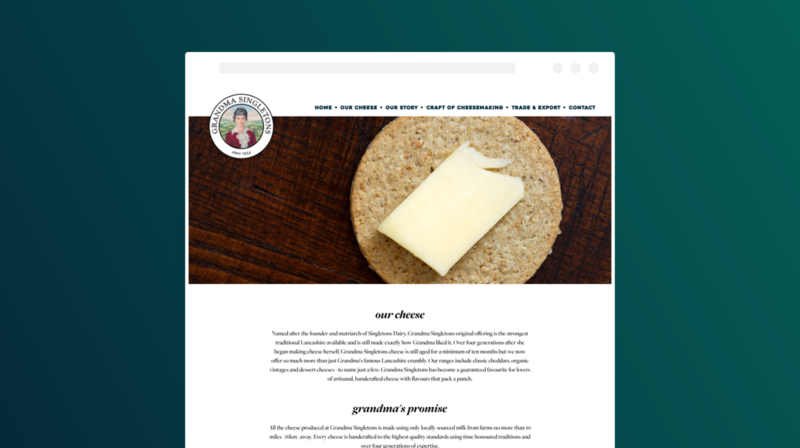 Most of this website could have been static - except for the cheese ranges. In fact - Hoxby specifically wanted only the cheese range to be CMS-ed. As then the client would need to come back to us for repeat work. Therefore the simplest thing to do was to make a section in Craft, just called 'Our Cheeses' - give them each a photo, name, and description, which the client could add to. This was very simple from a CMS point of view. 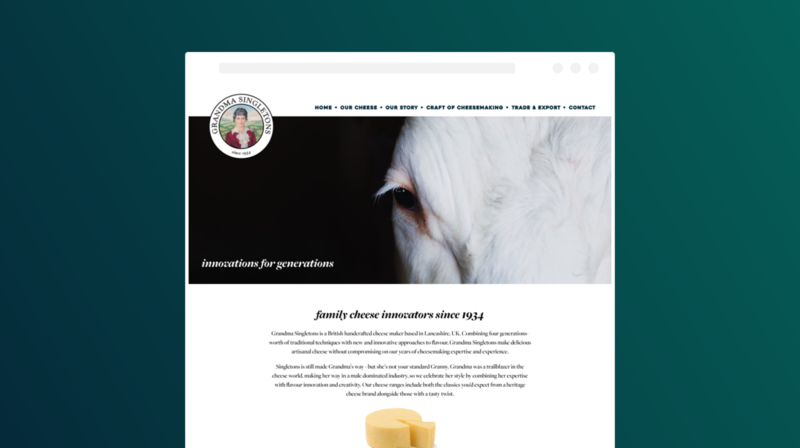 Perhaps the most complex part of the web build was a component on the 'Our Cheeses' page. The designer on the project designed a component which allowed people to select cheeses by category. 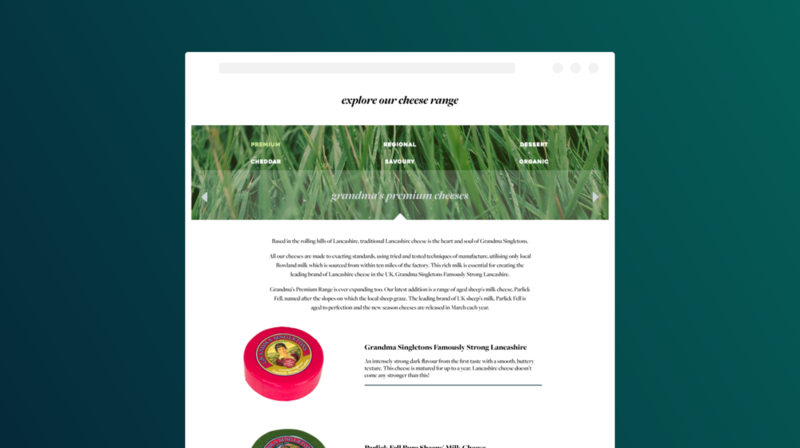 This element would then 'slide' the content section below to the relevant section. The user would also be able to swipe, and that swipe-friendly section would stick to the top of the page when it was scrolled past. This was pretty complex behaviour to understand, but was achieved relatively easily with a combination of "Slick" — a slider library, and "Scrollmagic" — a scroll animation library. The Hoxby Collective has a recognition scheme as part of their group, known as 'Hoxby Hero'. Essentially, every week, a new Hoxby Hero is named, as recognition for some great contribution that particular person made to a project they were involved with. "Matt went over and above making sure the client was happy with their new website. There were a few technical issues right at the end driven largely by technology from the client and Matt kept going over and above the agreed project hours to make sure we got everything sorted and the client was happy with the results." I was more than happy to receive this recognition in the community, and hopefully can win it again in future!